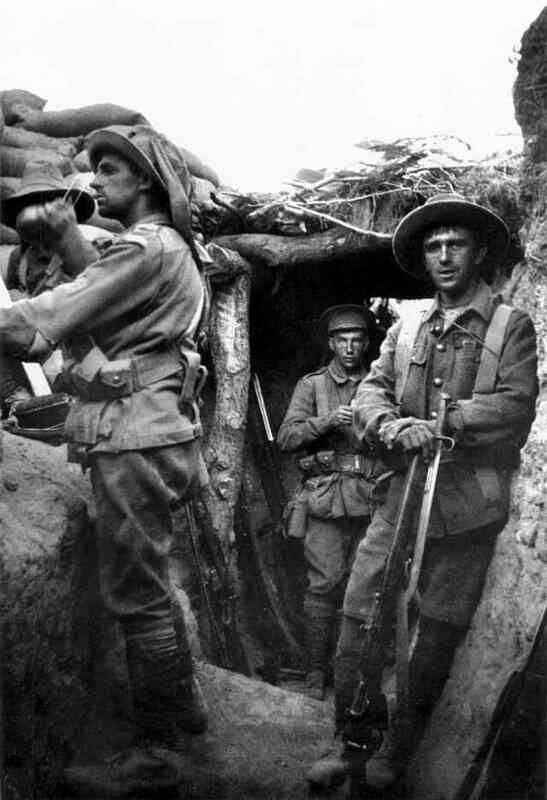 During the dark months of the disaster at Gallipoli, one story sticks out, that of an Australian sniper named William Edward Sing. With a Chinese father and a British mother, he endured enough racial tension as a child, but somewhat less so in the service, mainly because he could shoot. During the Gallipoli campaign, Sing spent his time shooting between 300 to 1000 yards. 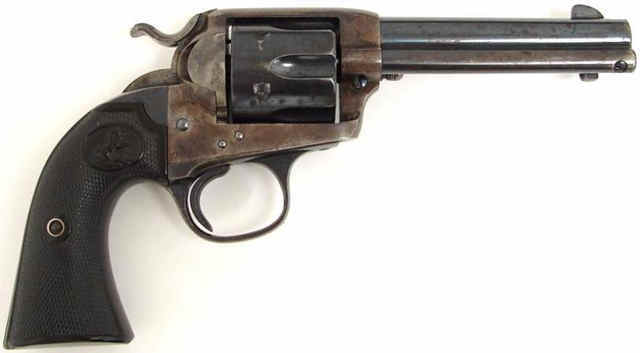 He is credited with at least 200 kills, but his total is believed to be much higher, and he did it all with a standard Lee Enfield service rifle. Rural kids from Australia were pretty good shots anyway, but Sing was hell on kangaroos. 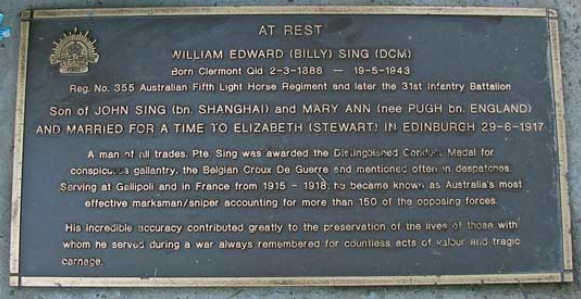 Being part Chinese almost kept him out of the army, but an officer looked the other way, and Sing was on his way to Gallipoli with the Australian 5th Light Horse Regiment. 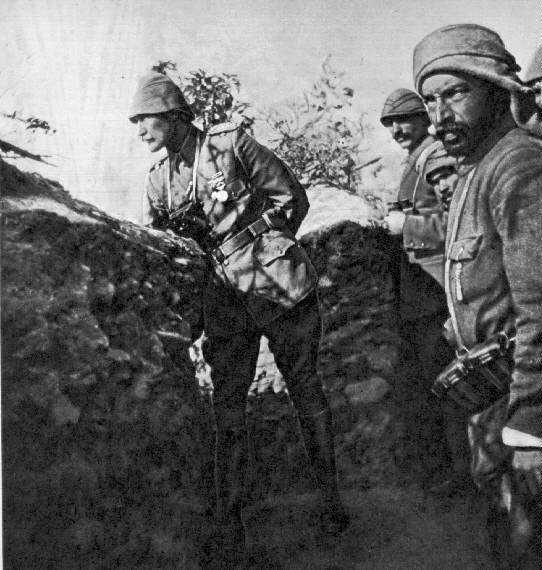 At Gallipoli, Sing would head out before dawn to find a place close to the Ottoman trenches, and stay there till nightfall. He was known as "The Murderer" and "The Assassin" but he did have somewhat of a code he went by, for instance, he never shot stretcher bearers. There was a duel between him and a famous Turk sniper called "Abdul the Terrible", although at the time he had no idea he was in a duel. The Turk meant to get Sing, and Abdul set up and waited. He noticed Sing's spotter and fired, hitting the spotter's scope, with the bullet ricocheting into Sing's shoulder. Sing's shot killed Abdul. Ottoman artillery let Sing's position have it, looking for revenge, but Billy Sing and his spotter had already left for safety. By the end of 1915, Sing's health was starting to fail, and he was sent to England to recover. From there, he was off to the Western Front, but the war slowly took it's toll on Billy, suffering from bullet wounds and gas poisoning. He collected some medals, including the Belgian Croix de Guerre. He finished out his life in relative poverty back in Australia, never recovering his health from the war. 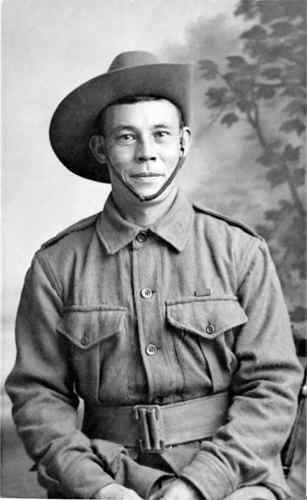 His story is told in a book by John Hamilton, "Gallipoli Sniper, the life of Billy Sing".